This year I'm adding servos which only run @ 115K (network Aux A). My regular network runs @ 500K on com 3. 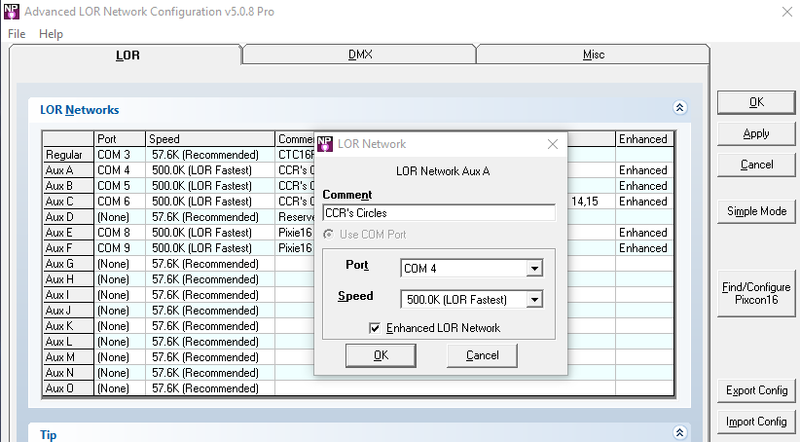 Com 3 seems to be for all USB ports on my computer and the LOR network preferences require different com ports be assigned to each network. Do I need to add another USB card to my computer with it's own com port designation to run an auxilliary network or is there way around this? Com3 has been assigned to that physical adapter. Modern Windows just made it USB port independent once detected. All usb ports are not assigned the same com port. Each device that you plug into a usb port has different properties which gets stored in the registry, so if you have the first device plugged into a usb port that usb port will be assigned a com port. When you plug the second device into another usb port it should assign a different com port. 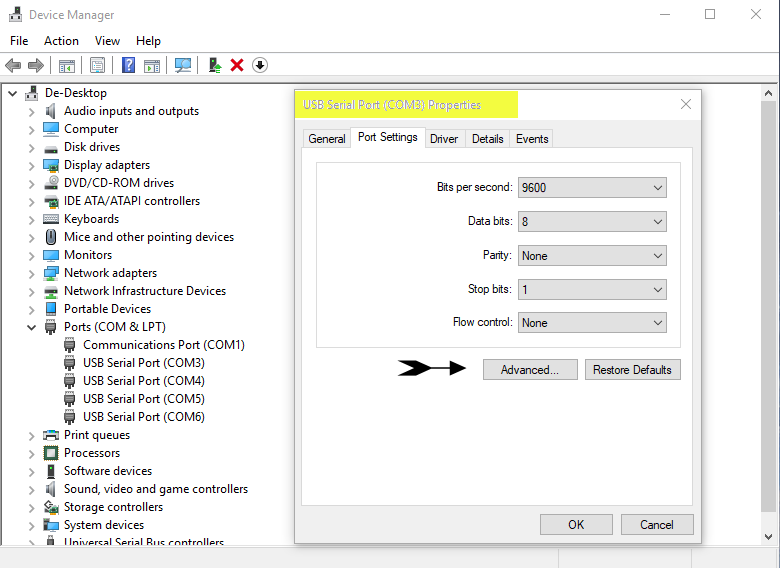 If for some reason it doesn't assign a different com port you can open the HU and manually assign a com port to that device. Thanks to both of you.. now don't I feel silly. Onward! It seems you got your answers, I just wanted to add a visual way of add networks, every so often this question comes up and I thought it would be handy to point people to this thread. Here's how I have my multiple networks setup. I use a Notebook PC to run my shows. I currently run 6 networks both Regular LOR speed (56K) and Hi-speed Networks (500K). I use a cheap USB hub I got from Staples. See the pic below. I numbered each connection point to make sure I keep everything straight. Open up Device Manager on your PC, as you plug in each USB Adapter one at a time, it will show up in Device Manager. 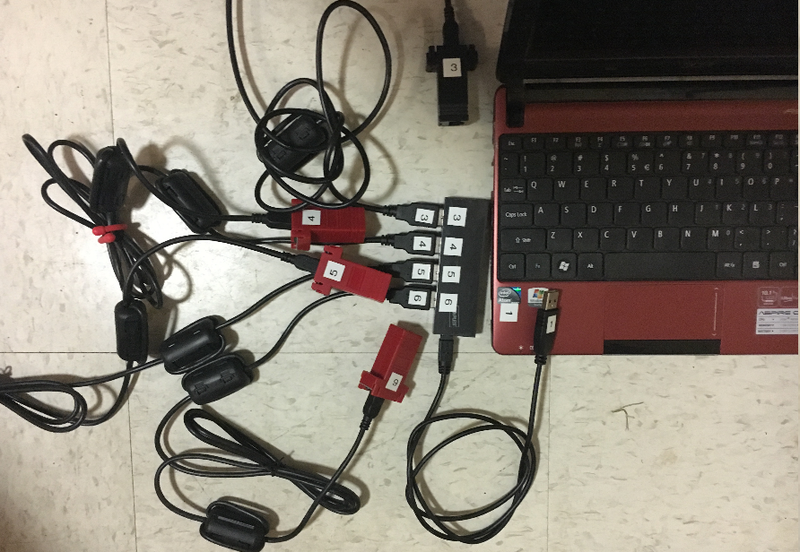 Below is a picture with some of my USB adapters connected, showing Com Ports 3, 4, 5, 6 all as USB Serial Ports. As you plug in each USB Adapter it will come up with the next available Comm Port, The USB adapter will remember what Comm Port it has been assigned. 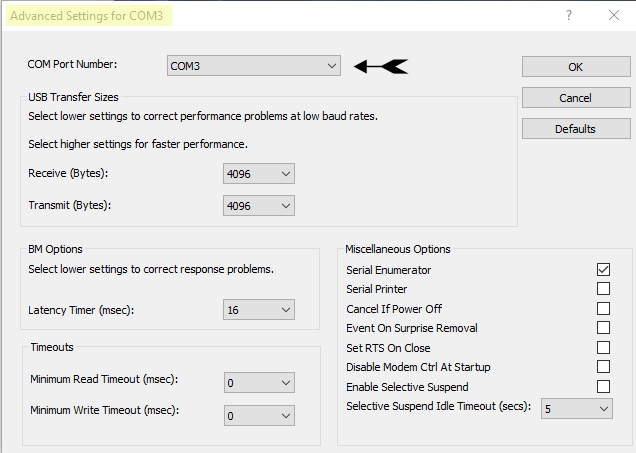 If for some reason, you want/need to change the Comm Port here is how it is done. Click the Comm Port you want to change. In this example I want to change Comm Port 3. It will open the Properties Box for that Comm Port, Click the Advanced Button. It will open the Advanced Setting for (whatever Comm Port) you choose to change. In my example Comm Port 3. Click the Drop Down Menu. This will show all the Comm Ports and allow you to change it. Once you are done, it would be wise to label the USB adapters with their Comm Port Numbers, it wll help eliminate confusion in a few months/next year when you go to hook everything up again. 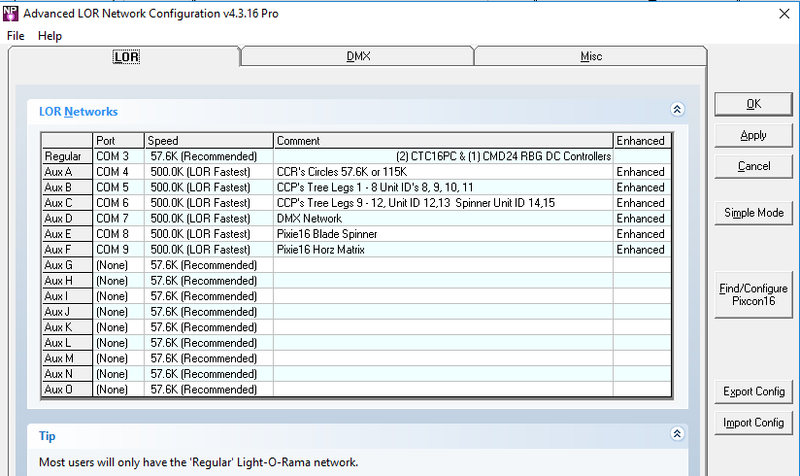 To setup Networks in LOR, Open the "Light-O-Rama Network Configuration" program and click the "Advanced Button"
From here you can add your Networks to LOR. 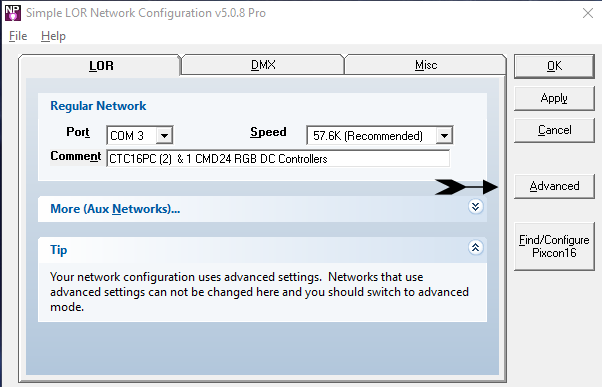 In the example below I am adding the AUX A network, fill in the appropriate info and click OK. After you are done adding all you new networks click the Export button to save this config. It will help later as you upgrade LOR programs. When all is done, I highly recommend that you create a some sort of cheat sheet to help you remember what networks you have setup. In a years time, this info will fade from your memory and a cheat sheet helps. Here is how I have mine setup. My DMX screen is far more involved but I don't have a screen capture from Christmas time on the show computer. I overlaid a Windows screen over my LOR Config screen and it didn't show the info. I actually do have quite of bit of info on there and it would be good to show it for clarity. I place a screenshot of all the info I produce and put it into the Light-O-Rama directory for ready access. Just like your annual thread to remind people to make backups, reminding people to write their info down somewhere/somehow is my cause. Just in case someone runs into a bad case of CRS (can't remember sh#@) Been there, living with that. Thanks for some great information. I'm currently using the Director to run my show but it is only a matter of time until I will have to switch to computer controlled as my show continues to grow. This information will be handy when that day arrives. I appreciate your sharing all this. In my quest to add networks I stumbled across this and have a couple questions. 1) Powered USB hub or not? 2) I am assuming before setting up in NP I would connect the USB hub first? Then just leave them all plugged in as I go until all networks are configured.? I normally run three LOR networks. On my show computer there are enough USB ports available that I don't need a hub, however during the off season when my server is running the show, there are not enough ports and I do use a four port powered hub. This is the way I would do it (and what I did when I initially set up LOR on my server). 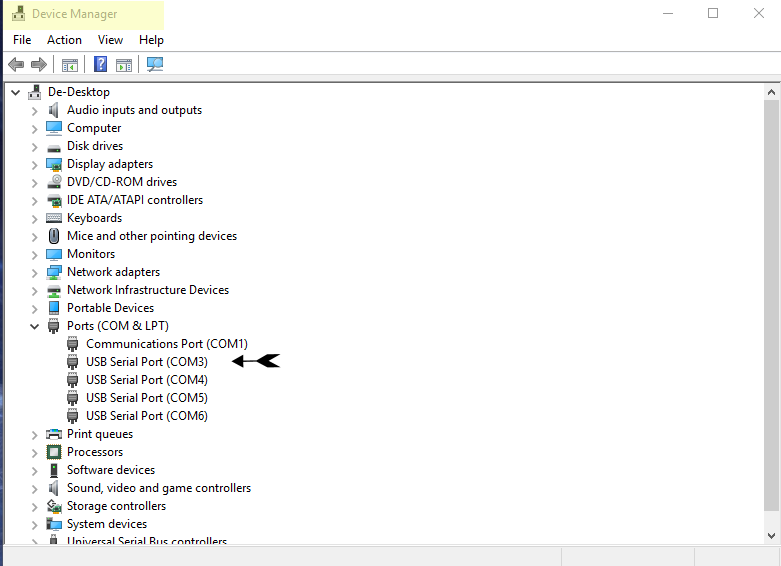 Start the Windows Device Manager so I can see what USB to RS-485 adapter comes up as what comm port. Plug in the USB hub. Plug in the first RS-485 adapter. 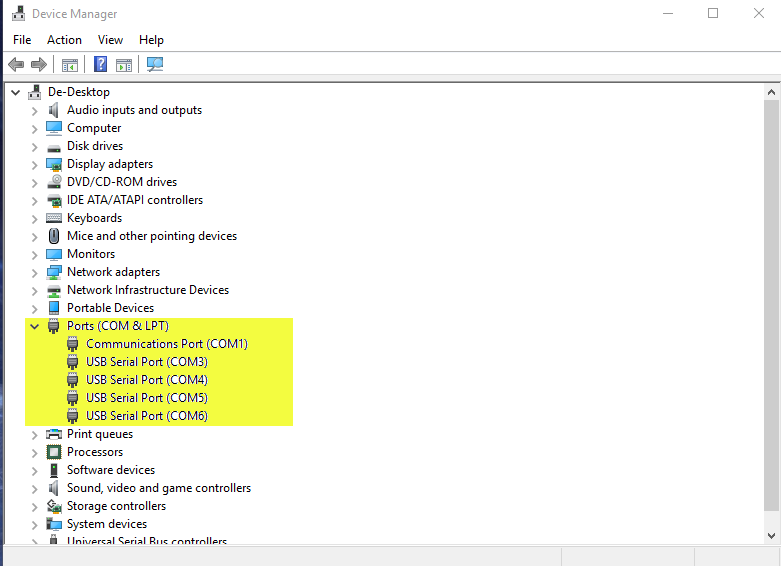 Note what comm port shows up in Device Manager. Repeat for each addition RS-485 adapter. 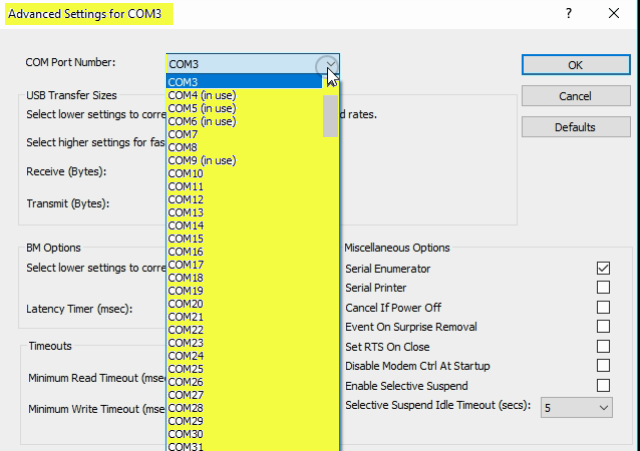 If desired, change the Comm port numbers using the Windows Device Manager. Then start Network Configuration and set up each LOR network to the RS-485 adapters. In my case, Com3 is my Regular Network, Com4 is my AuxA network and Com5 is my AuxB network. Thanks Jim. Unfortunately the new laptop as high end of a gaming laptop it is only has "2" usb ports. I am not a gamer but would imagine every gamer uses a headset which would be one port and any other number of accessories would consume port #2 so why in the world would Alienware (Dell) only include 2 USB ports. Hey but it does run my show. My guess is that LOR wants to err on the side of caution and remove every item they possibly can from the help desk inventory of issues that they need to deal with. I've also been using powered USB hubs for years starting when my network count first exceeded the number of available ports on the PC. I've moved from a four port hub up to an eight and now a ten, and have never had any issues whatsoever with their use. Thanks for the info George and thats good to know since we have even more neighbors wanting to join in which equals even more networks! At your current rate I'm thinking Clovis could be the first whole town synchronized to Christmas lights. Thanks for the information. I was going to ask this same question. I am going to a computer next year. There's ways.... Not entirely ELLs however.